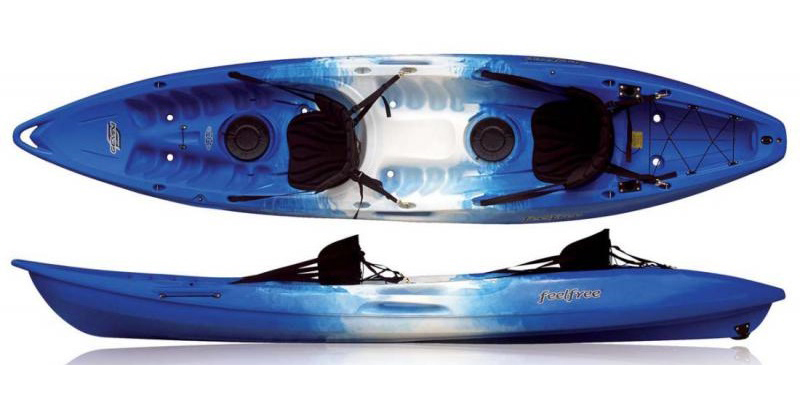 The Feelfree Gemini Sport is our best selling tandem sit on top kayak. 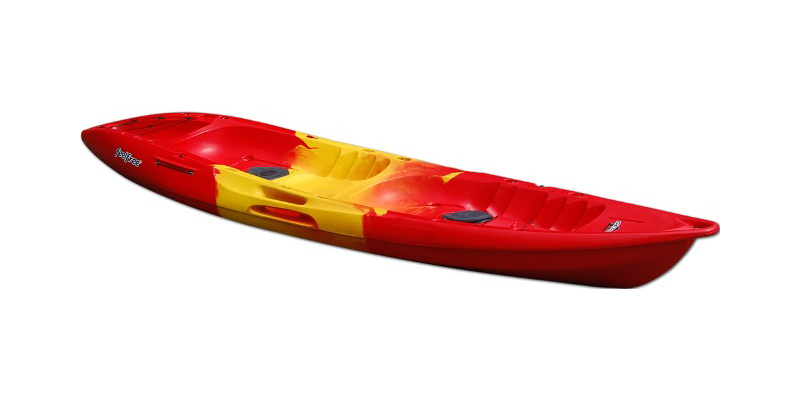 Ideal for paddling at the beach, along rivers or lakes and available in 2 great value package deals that include seats and paddles. The Feelfree Gemini Sport tandem kayak is our best selling 2 personsit on top and is the ideal accompanyment for families, couples and friends looking to enjoy time on the water. 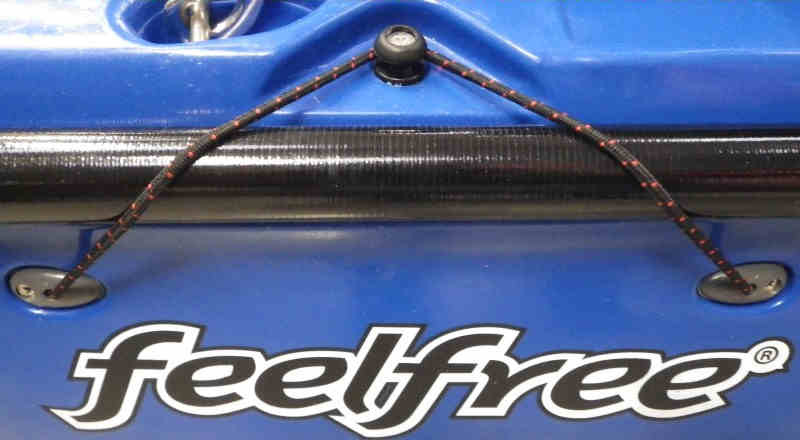 Based upon the success of the original mk1 Gemini, Feelfree have updated and produced the Gemini Sport. 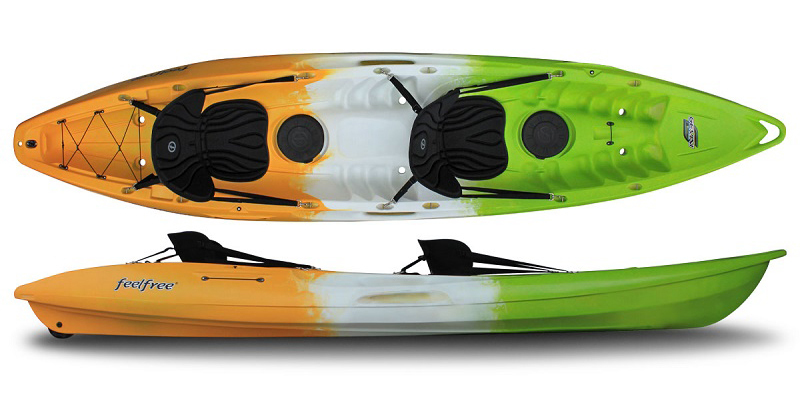 This is an easy to paddle and comfortable tandem kayak which can also be paddled solo making it a very versatile sit on top. The Gemini Sport's hull makes this a fast and fun boat that's suitable for a variety of waterways and some fun at the beach. It is also an ideal platform to fish, swim and even snorkel from making it the ideal holiday companion. 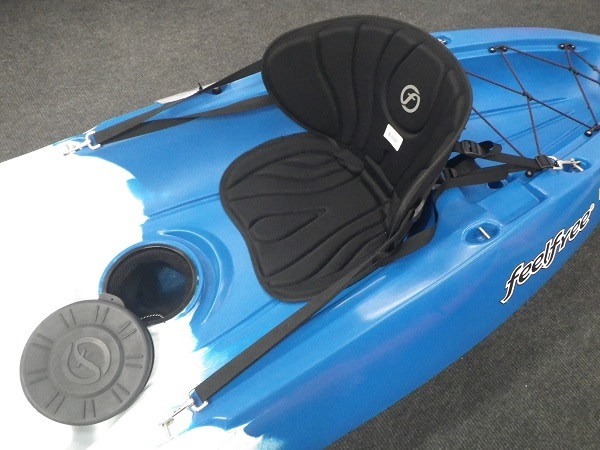 The Feelfree Gemini Sport features a ‘Wheel In Keel’ makes it easy to transport to and from the water and with its side carry handles it is also an easy kayak easy to car top. Just turn it upside down on a roofrack, strap it down and away you go! 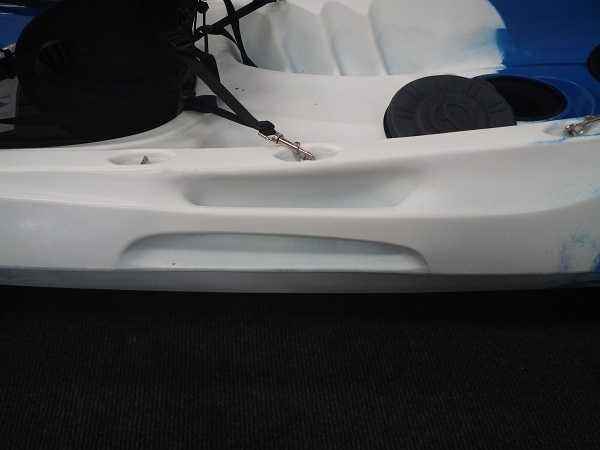 There is also a good-sized rear tank well for storage and 2 smaller round hatches just in front of the seating positions that access directly into the hull and are great for stowing smaller items close to hand. 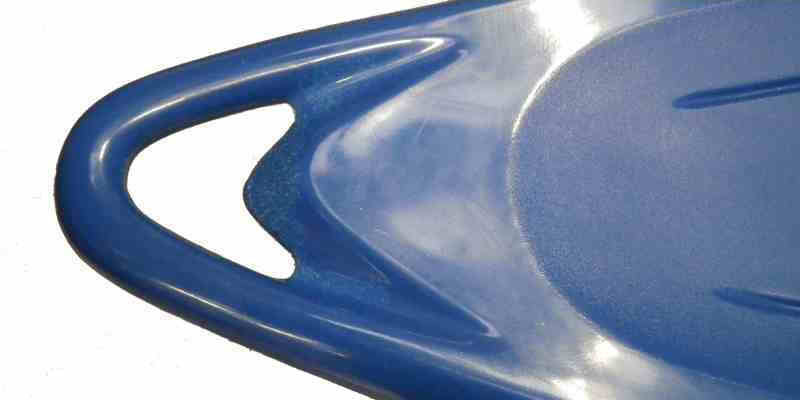 Solid moulded carry handles make carrying and car topping the Gemini Sport much easy. 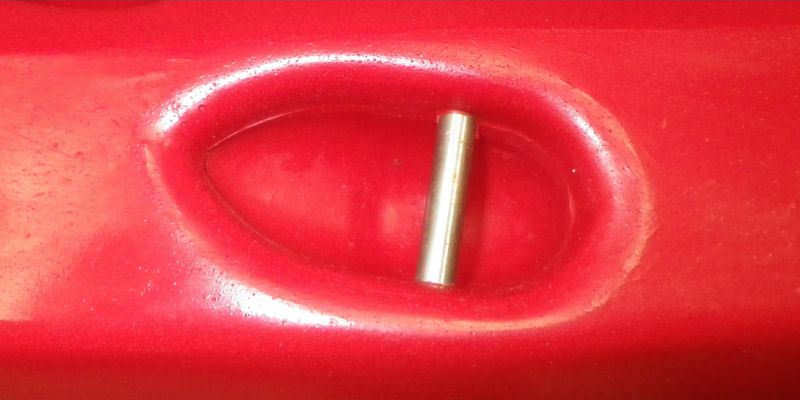 Also offers a convenient point to thread a security cable and strpas for storage and while on the car roof. Solid moulded carry handles make wheeling, carrying and car topping the Gemini Sport with two people much easier. 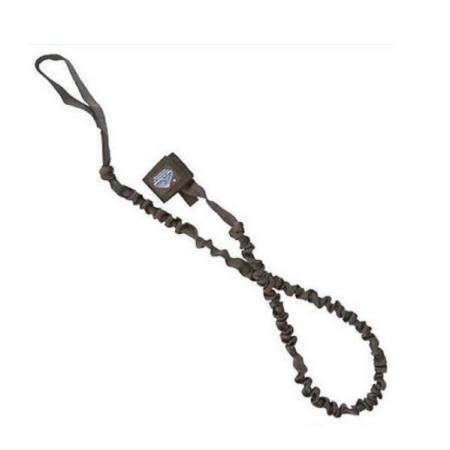 Also offers a convenient point to thread a security cable for storage and when on the car roof. Self draining seating areas featuring multiple footrests that give alot of leg room for both paddlers. The seating area also allows you to attach a Canvas or Deluxe Seat with ease for extra comfort. 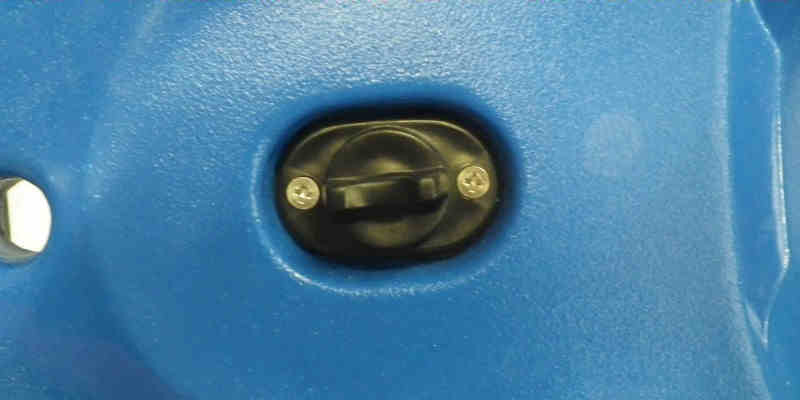 Two rubber hatches with covers allowing access to the storage space inside the Gemini Sport. 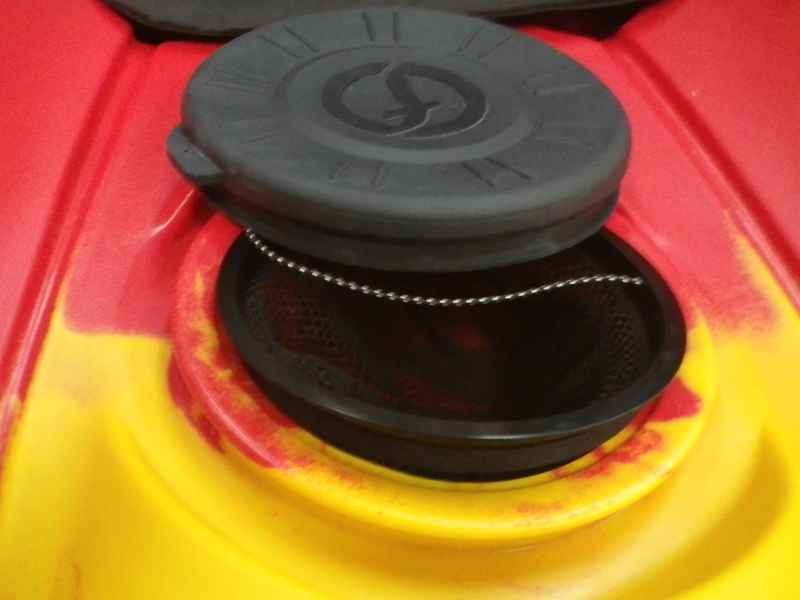 The 2 hatches have a mesh bag to stop things ending up down the other end of your kayak and are an ideal size for a Feelfree 3L Dry Bag. 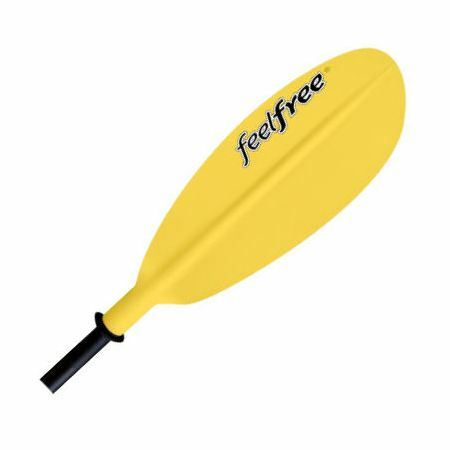 Ideal for keeping your paddles safe whilst traveling to and from the water. 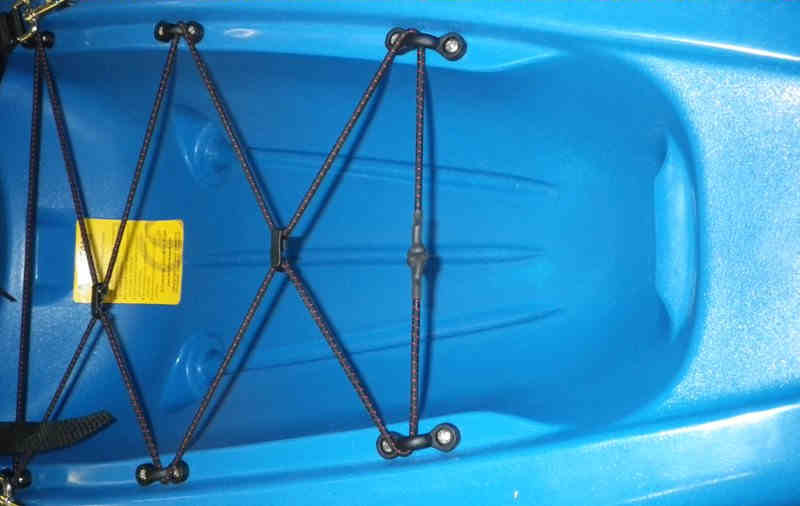 Also handy for storing your paddles when you are needing a break out on the water or needing two hands free. 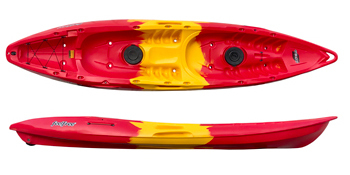 The Gemini Sport has 2 paddle keepers one for the front and one for the rear paddler. The wheel in the keel makes it easy to move the Gemini Sport around on hard surfaces, using the front carry handle to pull it along. 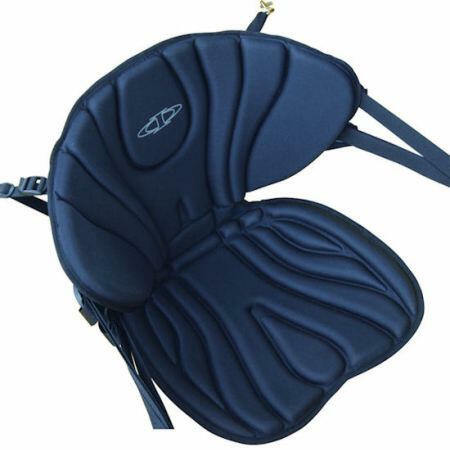 The Rear Storage area on a Gemini Sport is the perfect size for a 30L dry bag with your towel and packed lunch it is also within easy reach from the paddling position of the rear seat. 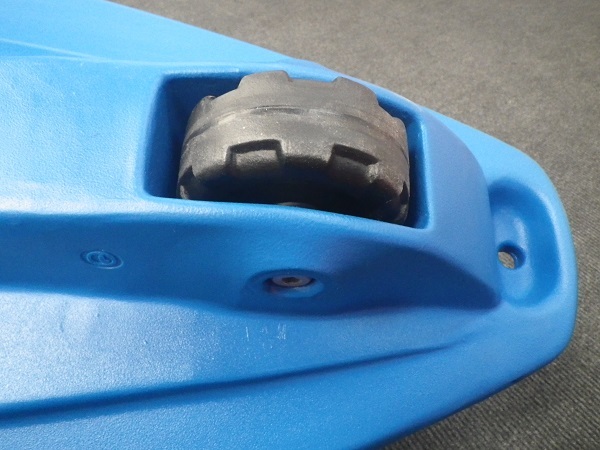 The Drain Bung in the Rear of a Gemini Sport allows you to drain any moisture that may find its way inside the kayak whilst out on the water. 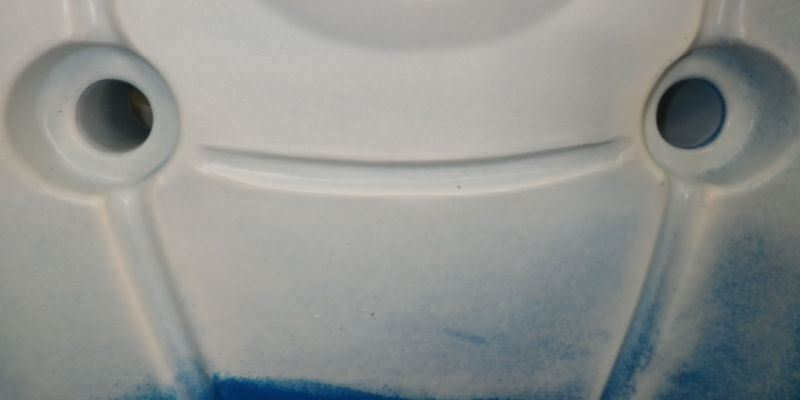 Scupper holes allow splash and spray to simply drain away whilst paddling. 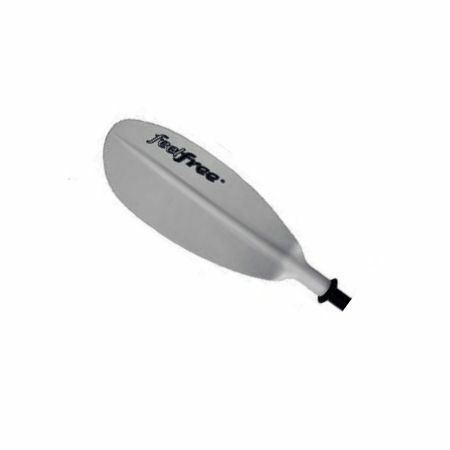 The Scupper holes give added ridgidity to the kayak and can easily be plugged up for river use with Feelfree Scupper Plugs. 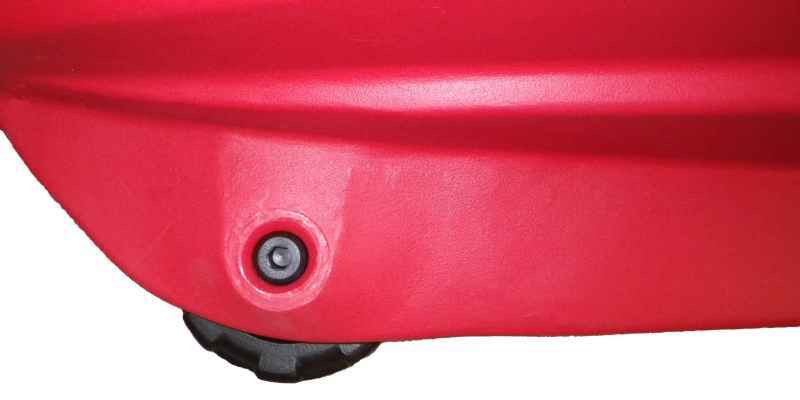 The attachment points on the Gemini Sport are ideal for attaching seats, paddle leashes or should you be tearing up the surf in this tandem some thigh braces. 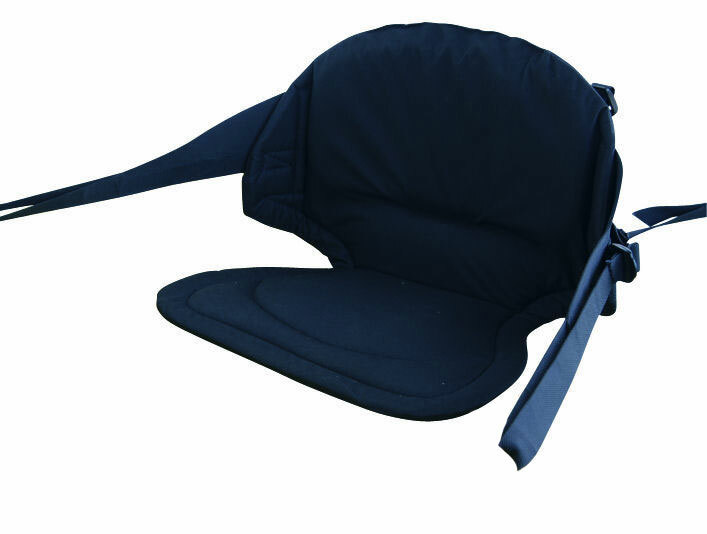 Higher back support, stiffer construction and additional padding. 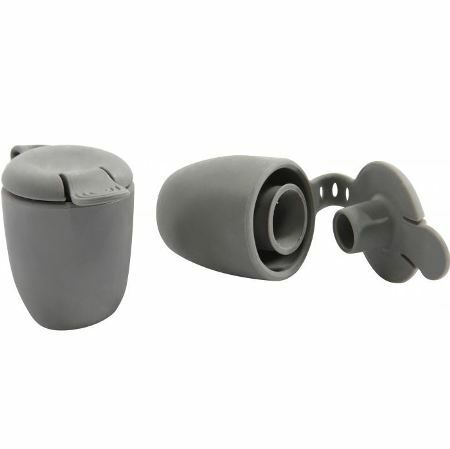 These handy accessories can stop water coming up through the scupper holes and help keep you drier. Comes as pair. The Feelfree Gemini Sport is available for delivery thoughout England, Wales, Scotland, Northern Ireland & Ireland. 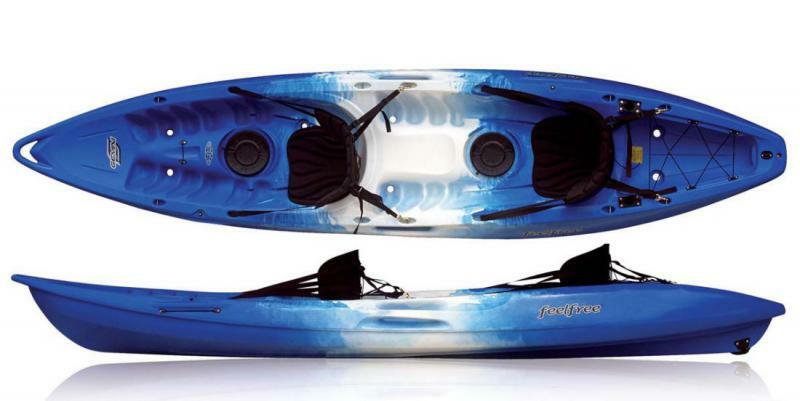 The Feelfree Gemini Sport is available for instore collection from Norfolk Canoes or from any branch within the Canoe Shops Group.